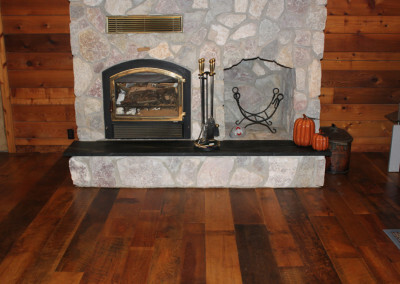 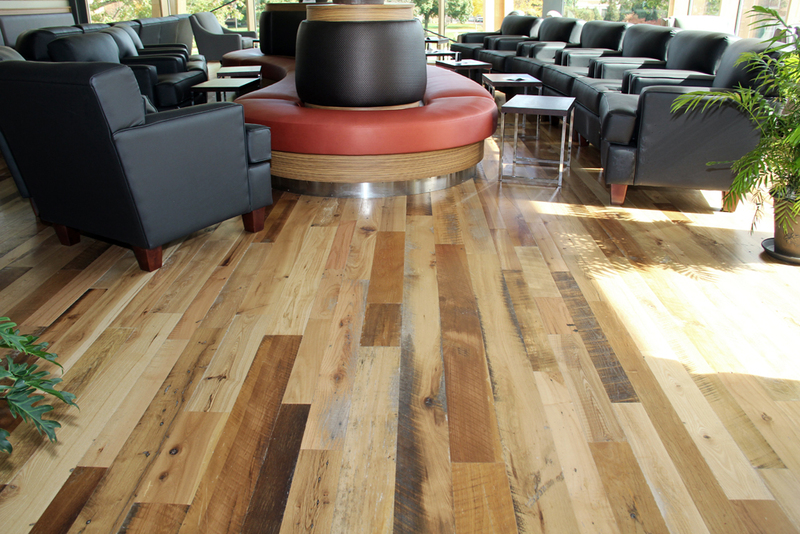 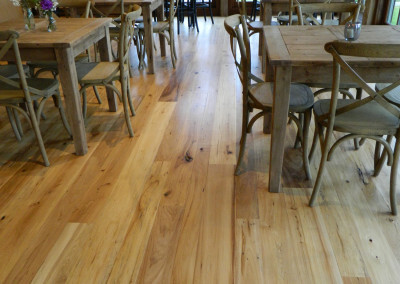 Custom milled reclaimed wood floors are available in most North American hardwoods and softwoods. 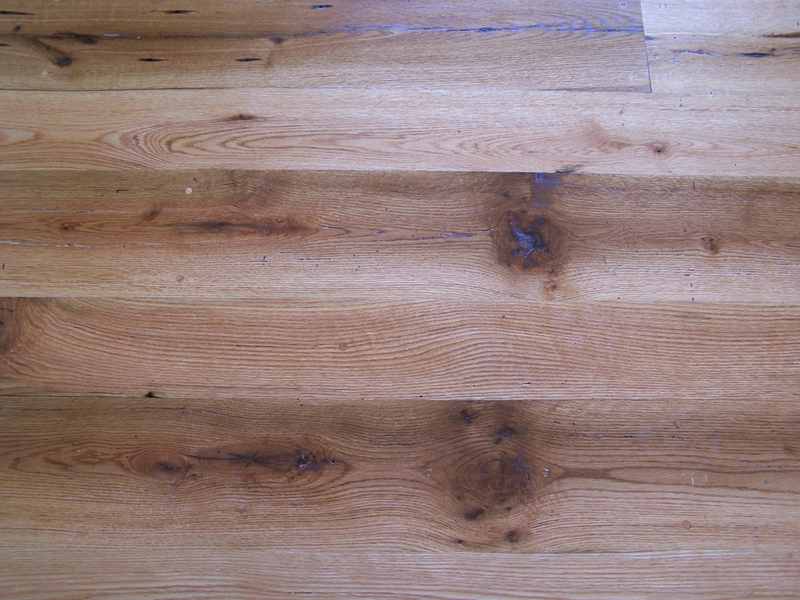 We carry regular hardwood inventories of Oak, Ash, Elm, Maple, Hickory, Walnut, and Cherry. 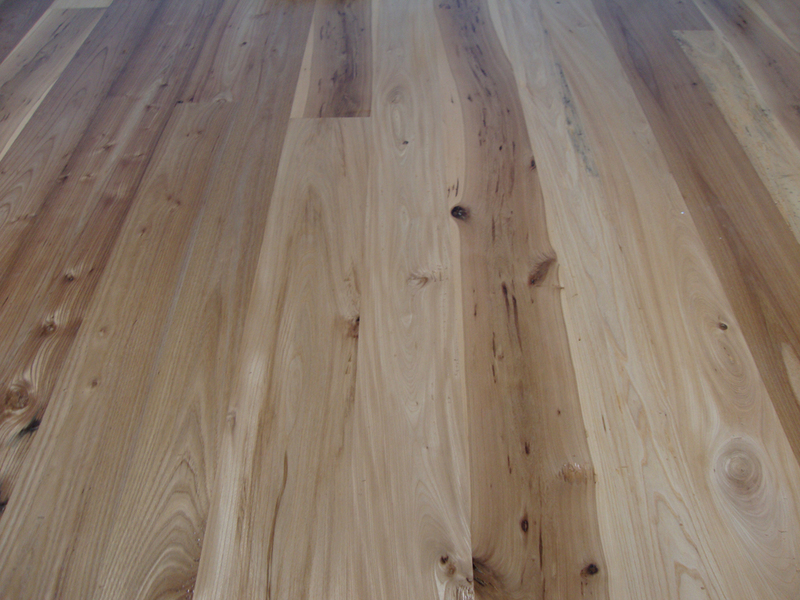 Our softwood inventory includes Longleaf Heartpine, Northern White Pine, and Douglas Fir. 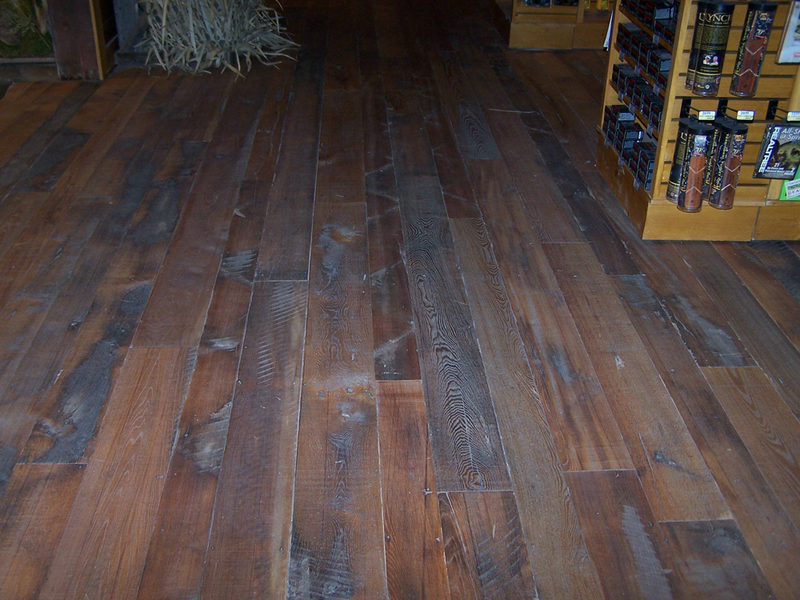 We have styles available to go with any type of home or business decor. 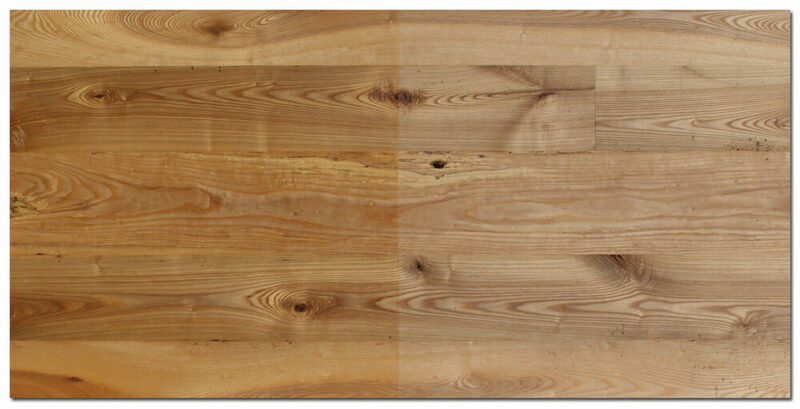 The look you are trying to achieve will dictate the reclaimed material we cut and mill. 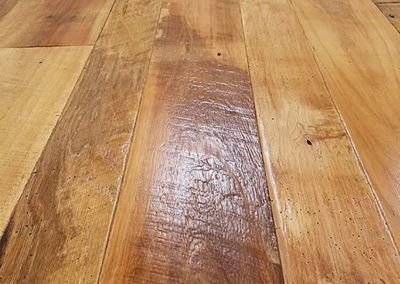 Whether it be a clean and refined look for a modern home, or a rustic antique foot worn surface for the summer cottage, our reclaimed wood flooring can help you make a statement to anyone visiting. 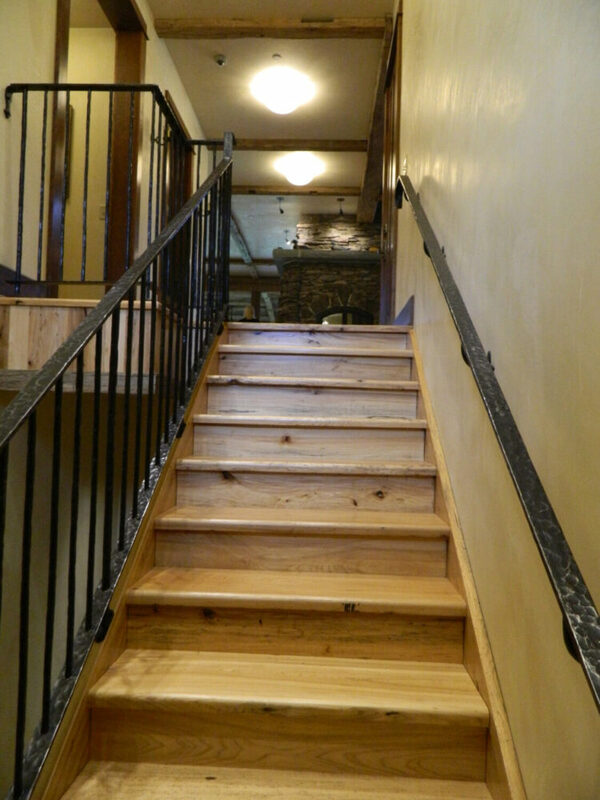 Don’t see what you are after on our website? 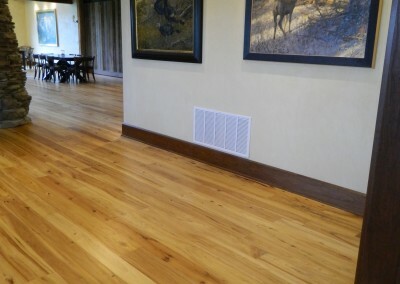 Give us a call, together we can figure out what will work best for your project. 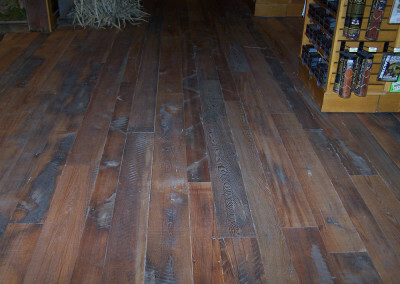 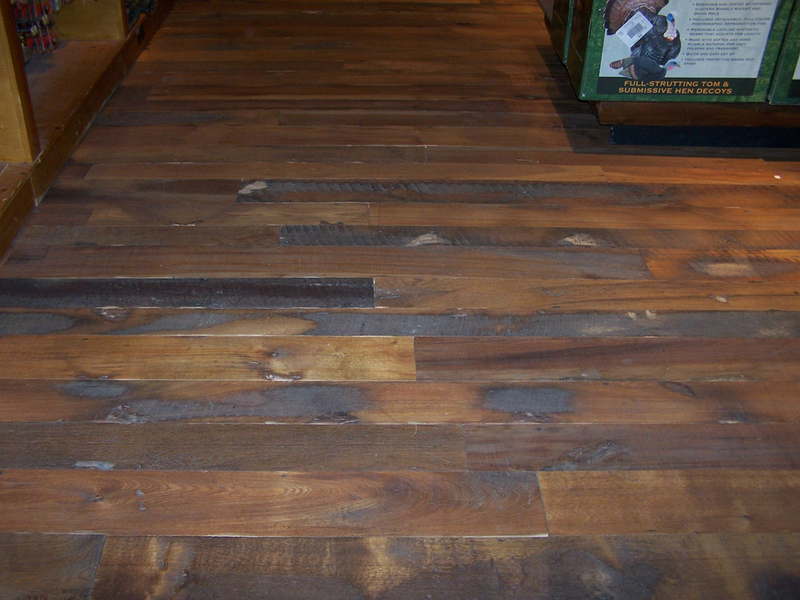 Below you will find digital samples of our reclaimed hardwood flooring. 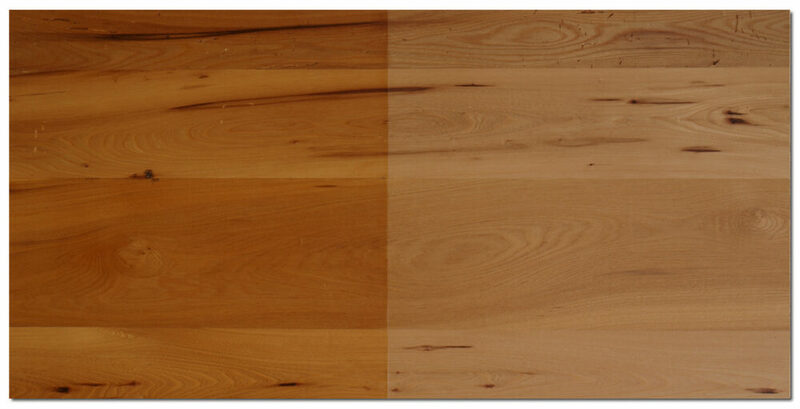 The difference in color represents an oil based finish on the left, water based finish on the right. 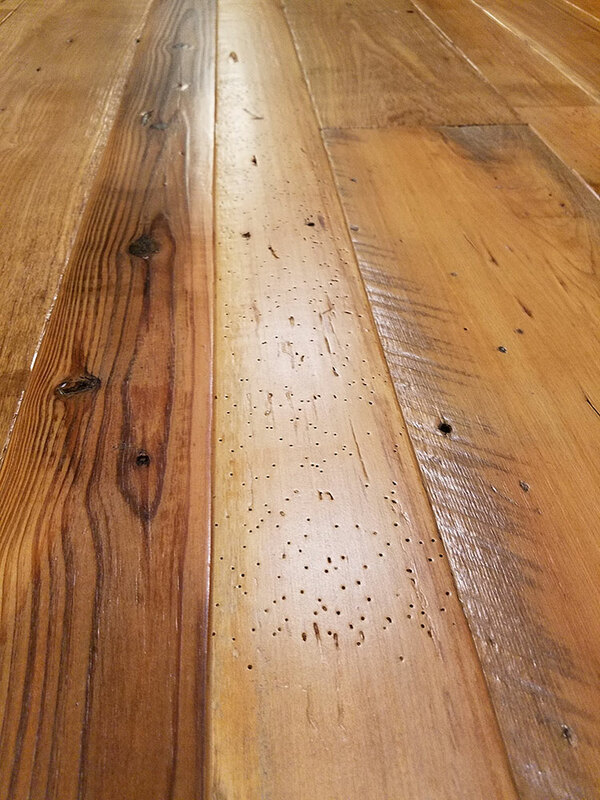 An oil base finish will darken the wood and show more of a “buildup” in the finish itself, while water based finishes preserve more of the natural look of the wood and show little “buildup”. 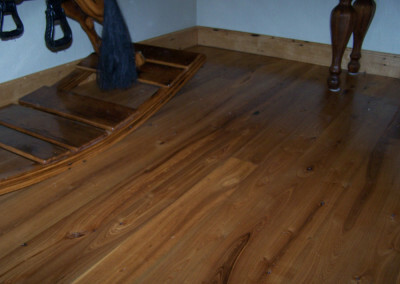 Elm is one of the most beautiful and rare floors we produce. 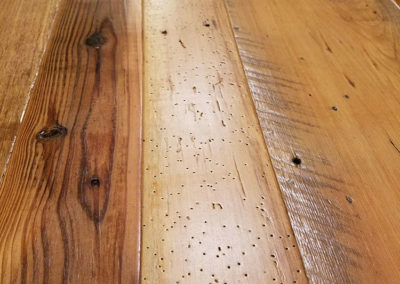 A lowland loving species, elm populations in the US have been decimated since the arrival of the Dutch Elm Disease in 1930. 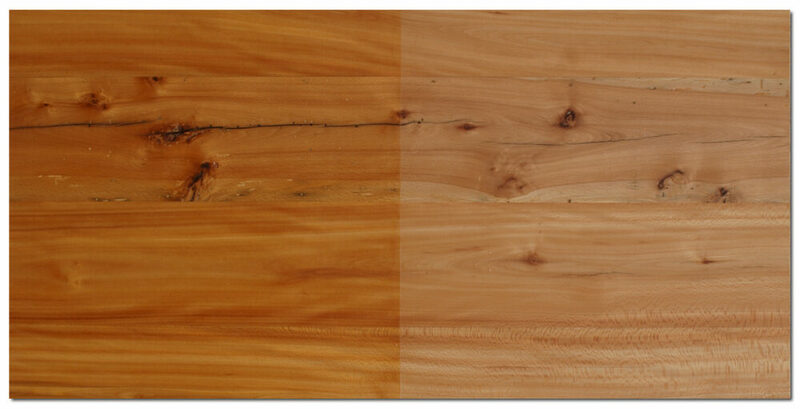 Mature living stands are few and seldom harvested, leaving reclaimed as the main albeit limited supply. 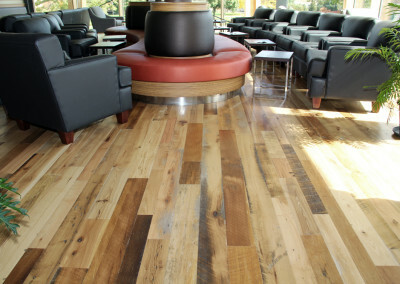 The appearance can be similar to hickory with light and dark contrasting streaks, with a wavy intertwined grain pattern. 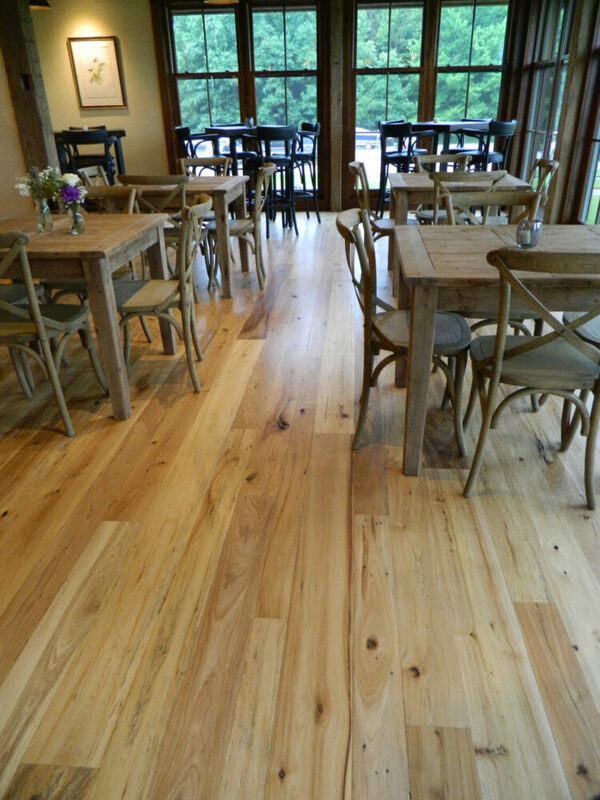 Being located in the boundaries of the long since drained Great Black Swamp, ABB salvages high quality old growth elm and is one of the few suppliers producing elm floors. 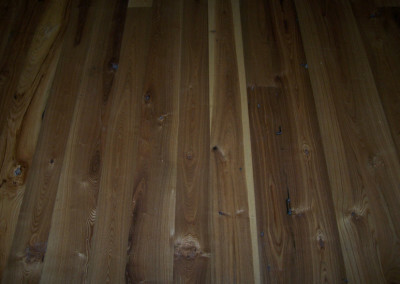 A highly pronounced grain pattern with a similar look to Chestnut, Black Ash is a species hard to find in significant quantity outside of large swamplands of the midwest. 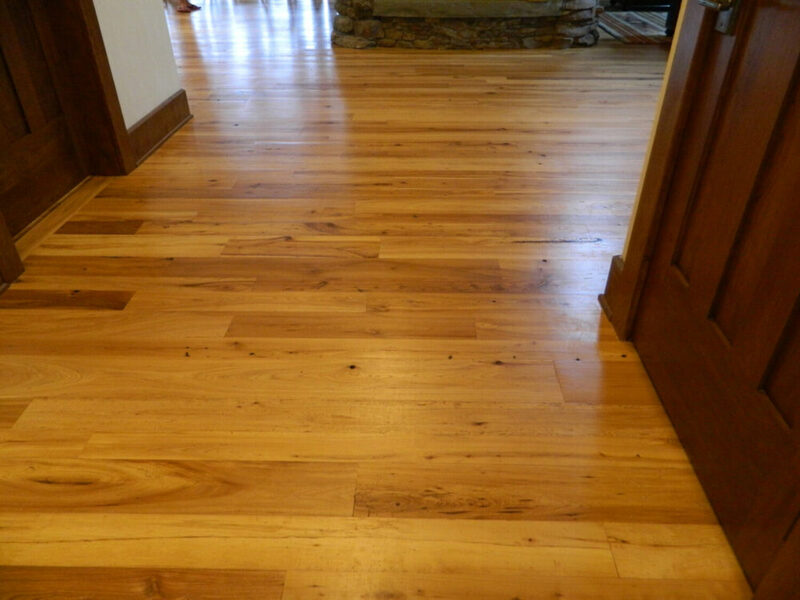 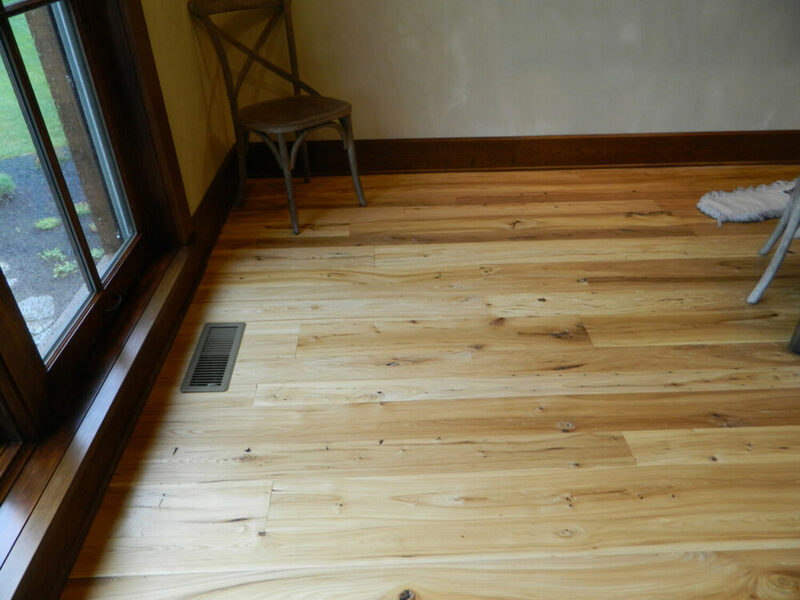 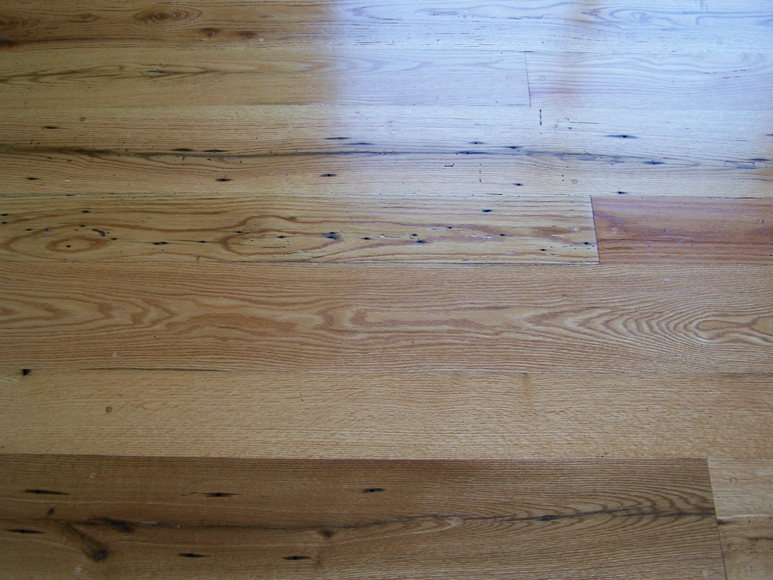 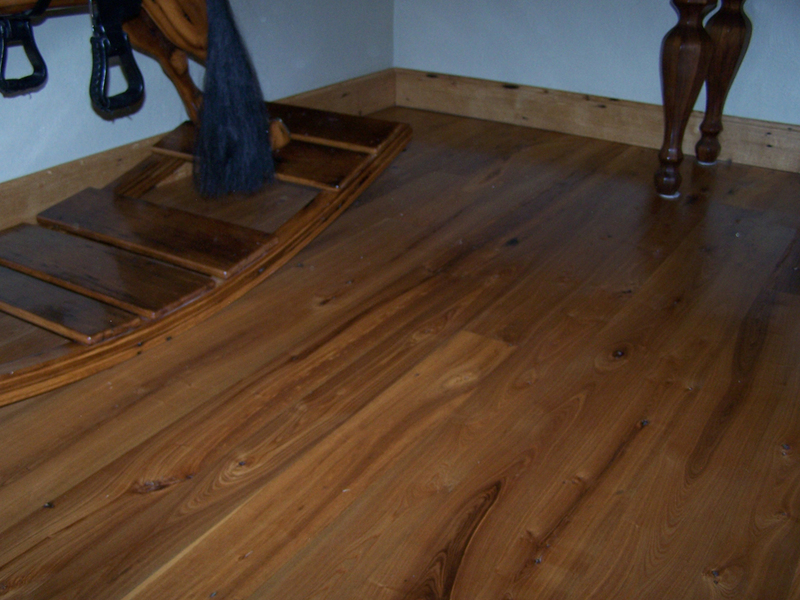 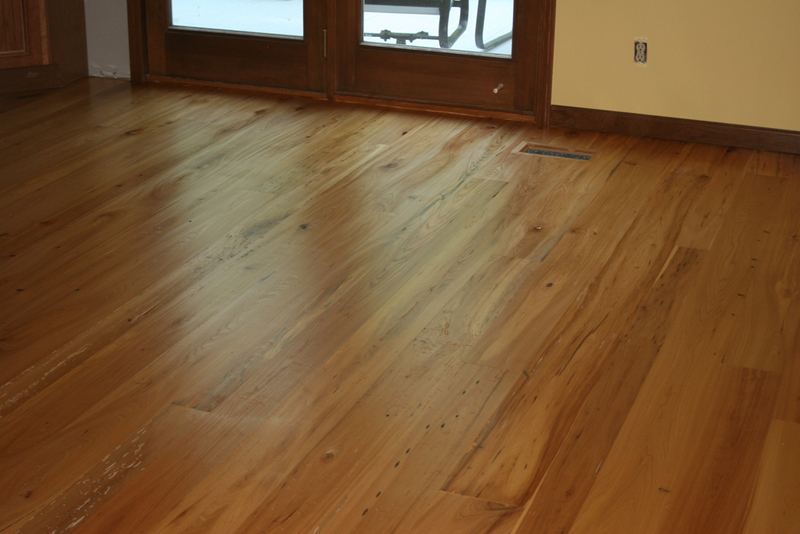 The wood is highly resistant to wood boring insect attach and thus reclaimed Black Ash flooring has few bug holes. 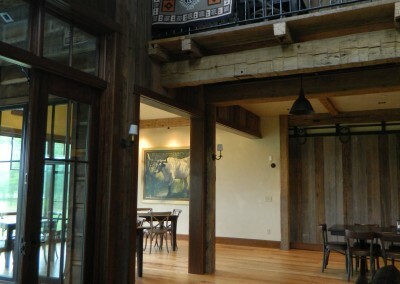 It was used extensively through the Black Swamp to build the area farms once the land was drained in the mid 1800’s. 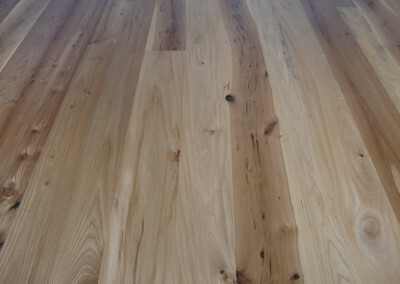 White Oak, more specifically Swamp White Oak (The New York Times has reported that over 400 Swamp White Oak trees are being planted in the newly constructed September 11th Memorial Plaza in Manhattan), is the most common Black Swamp Species. 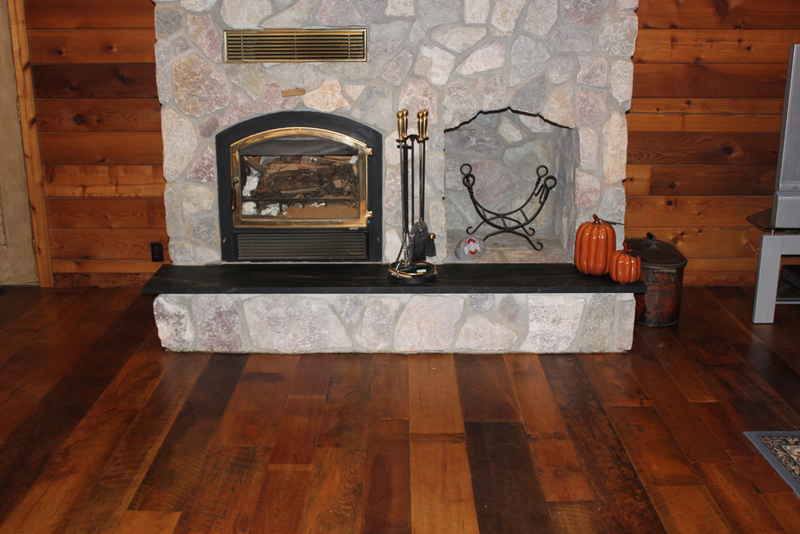 It was also the most desirable to use in home and barn construction due to its strong resistance to weather. 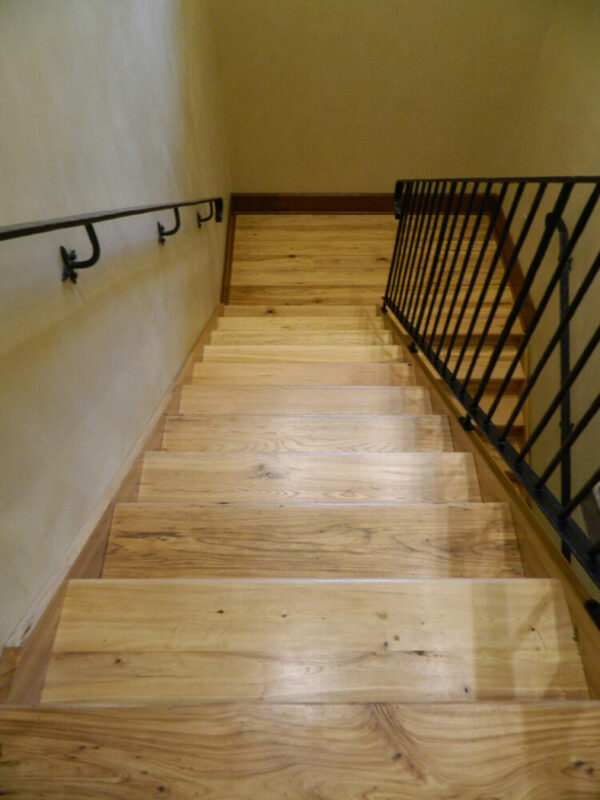 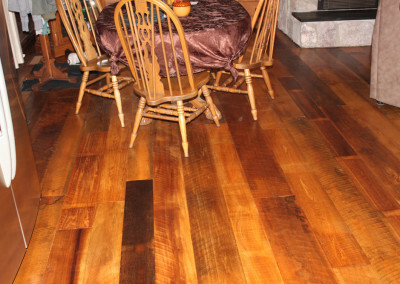 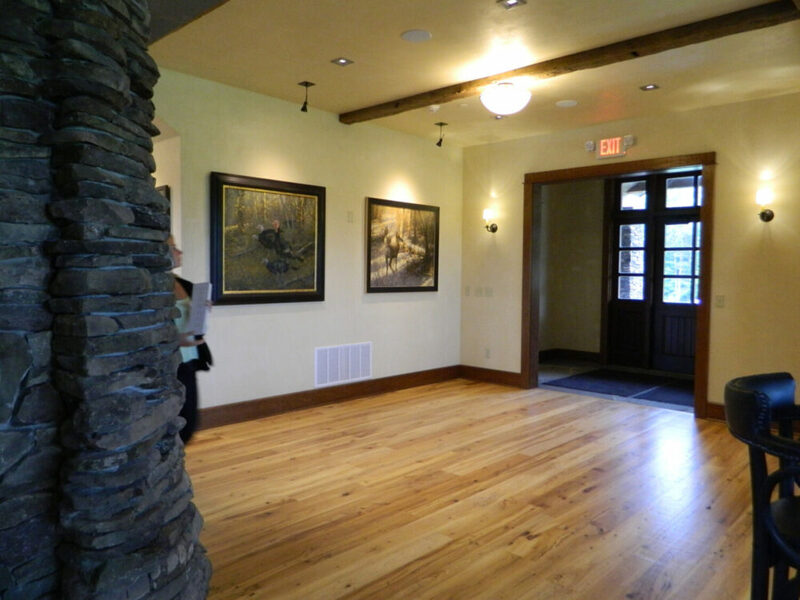 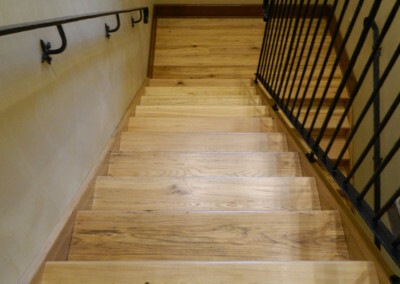 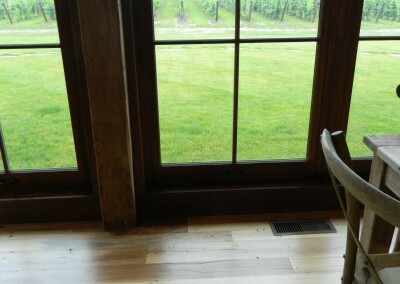 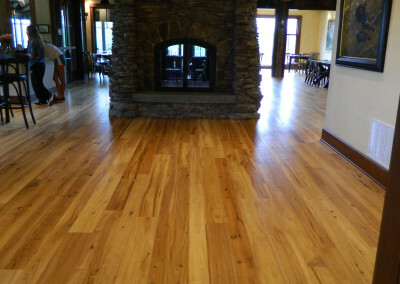 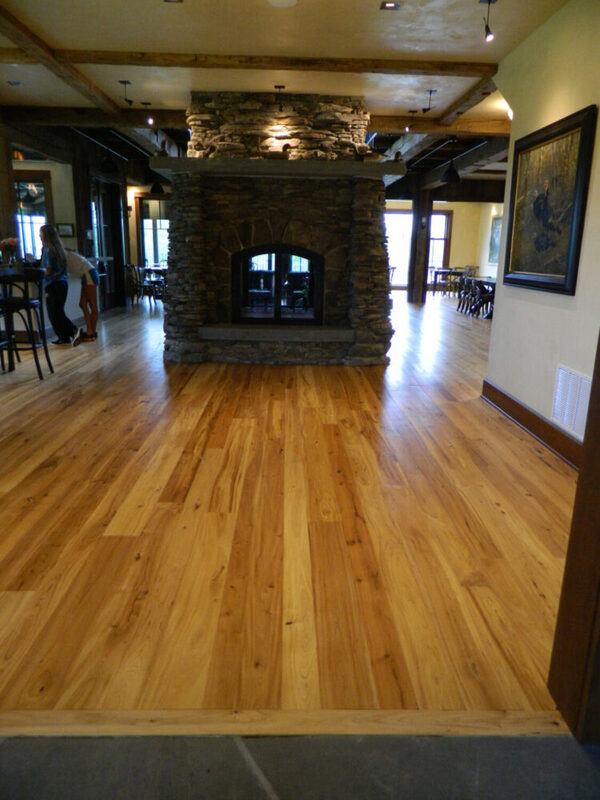 Reclaimed White Oak flooring has a rich brown color, tight grain, and hard. 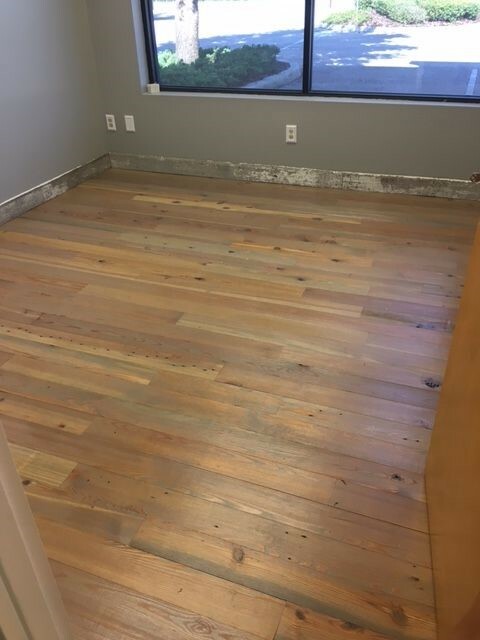 Each floor will have a good quantity of quartersawn boards that have a “tiger” grain pattern with beauty that is hard to match. 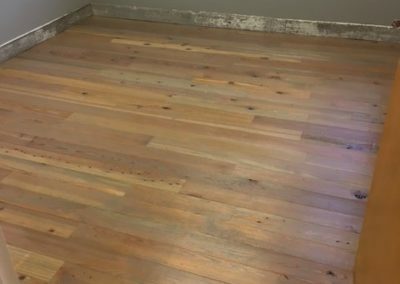 Milled from original oak floor boards and joists, “Dirty Top” flooring is one of the most rustic and attention grabbing out there. We start by pressure washing and drying original boards and joists. 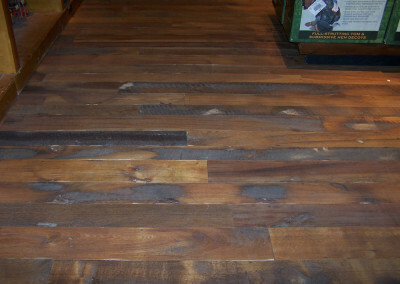 We then plane one side for consistent thickness, leaving the old saw marks and deep brown patina on the exposed surface. Boards are then tongue and grooved and micro beveled so no sanding of the surface is required. 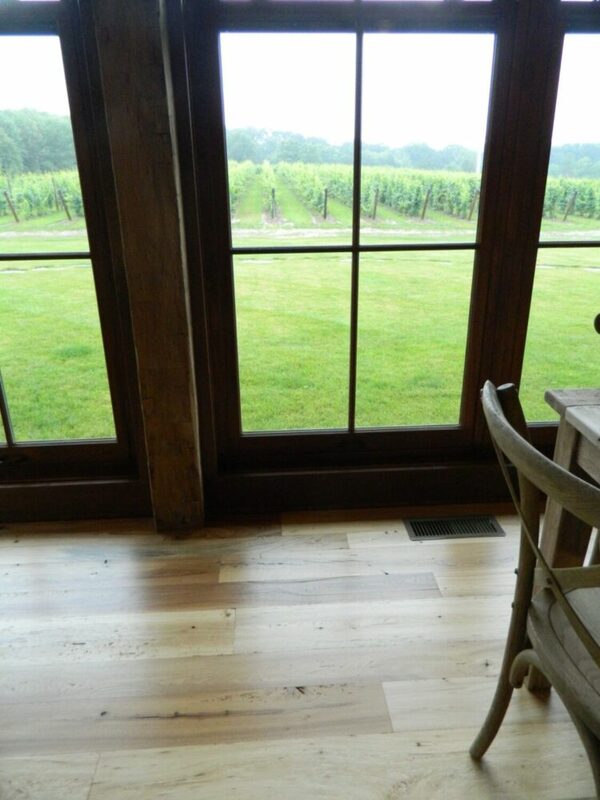 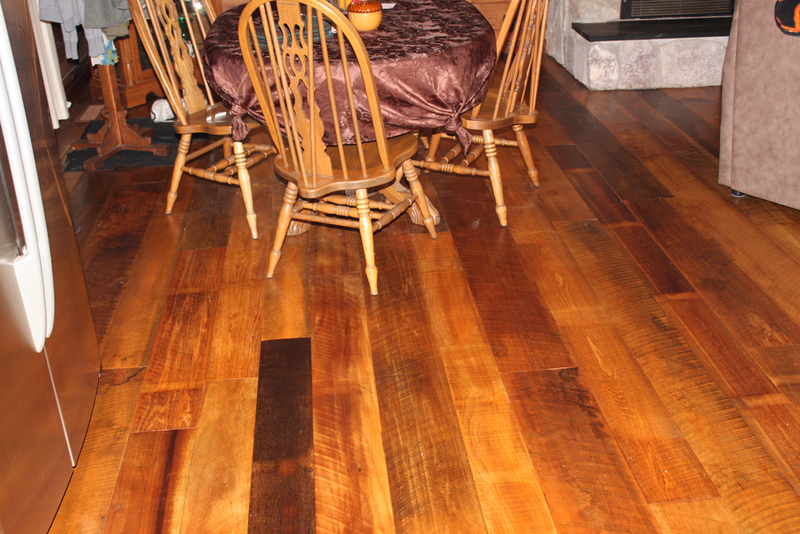 The resulting floor is a mixture of old country charm and rustic beauty. 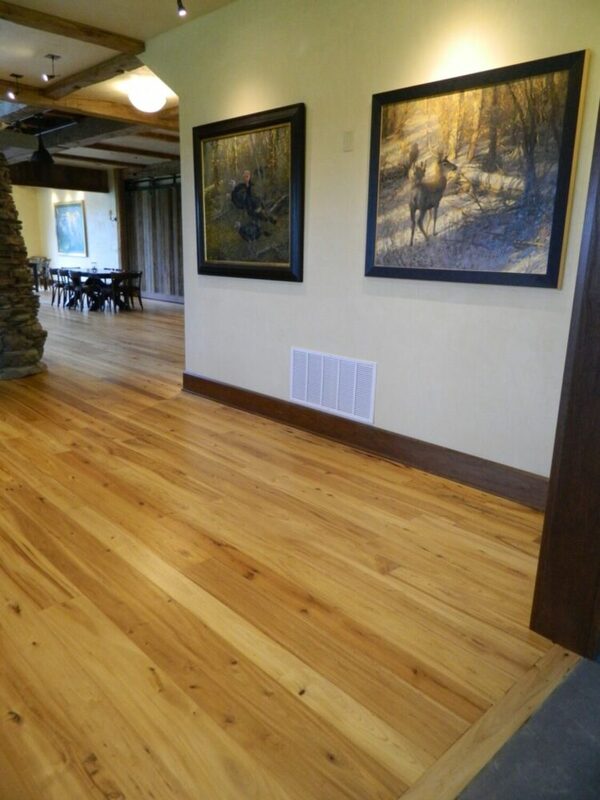 One of the most sought after building materials from the 1700’s to the early 1900’s, Longleaf Heartpine is a tight-grained hard pine with rich amber colors. 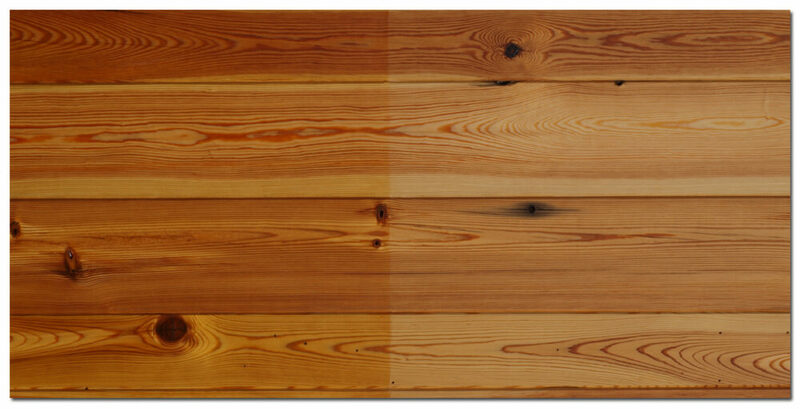 Indigenous to the south and southeast, these trees could take up to 200 years to mature. 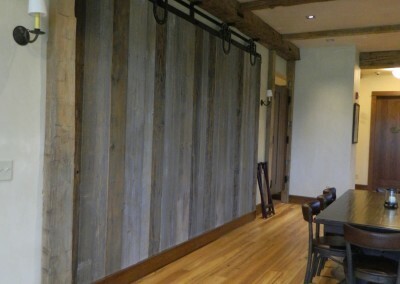 The lumber was railed and shipped all around the country for building purposes. 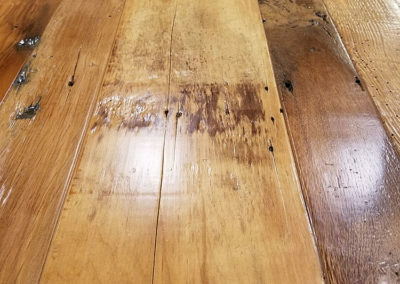 Because of their slow growth rate and construction popularity, most of the mature stands were logged out by the early 1900’s. 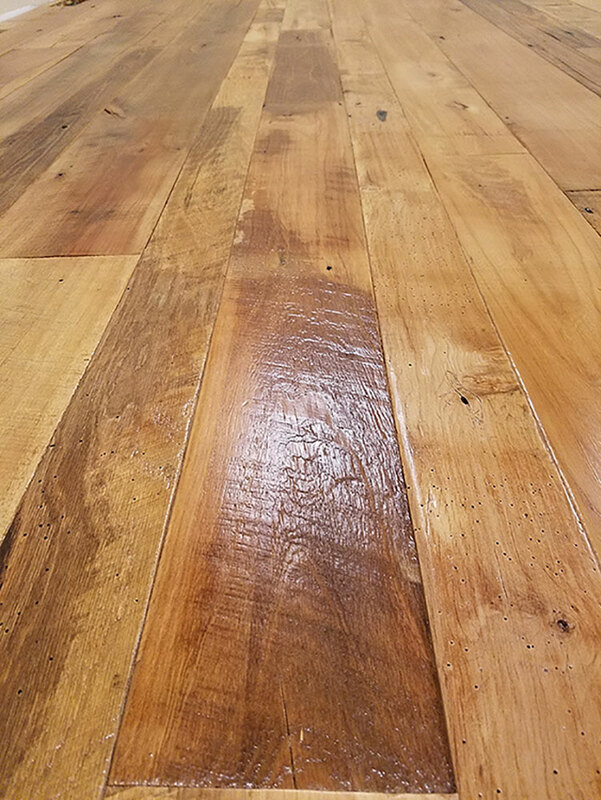 Most of the mature stands remaining today are protected, leaving the reclaimed market as the sole source for this beautiful wood. 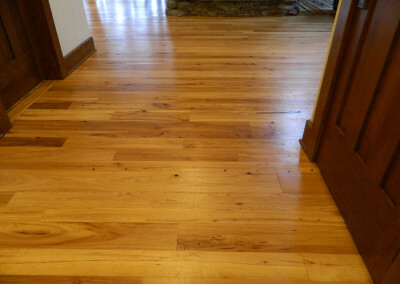 Light tan to brown, often mixed with a slight pinkish hue, this floor can brighten up any room. 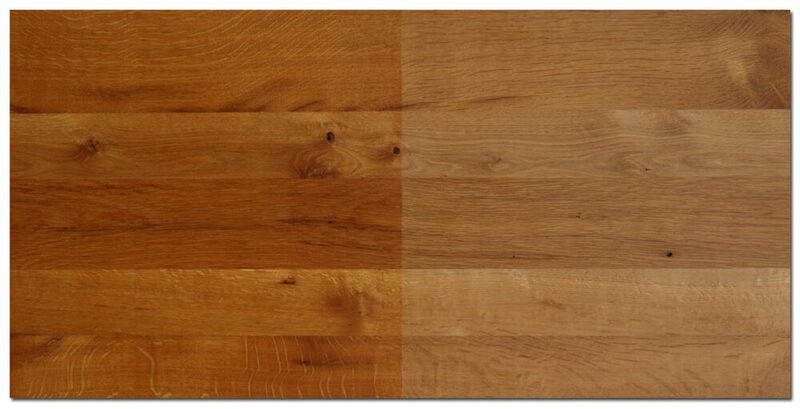 We mix the two as the aged material is almost indistinguishable even to the trained eye. 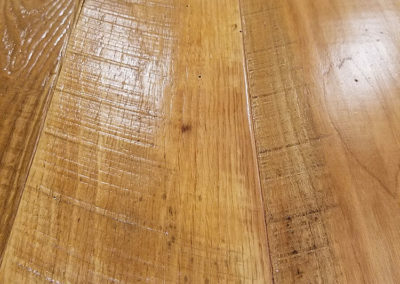 Due to the region we are in, we get only small quantities of the material, but it is often very dense and tight grained as the trees were not growing in their optimal habitat. 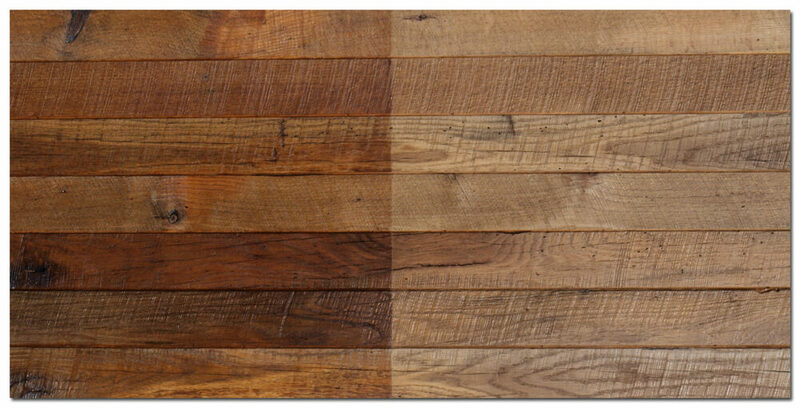 The rich character and the back story behind where the wood came from. 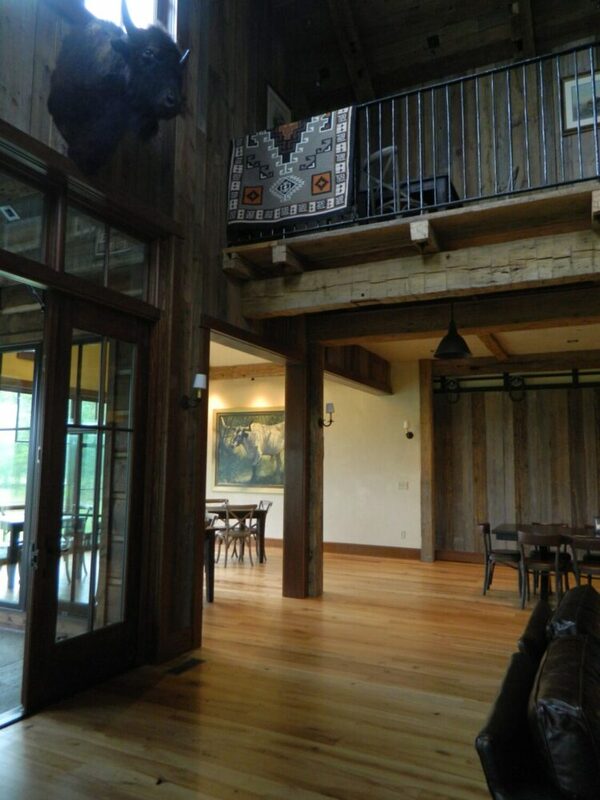 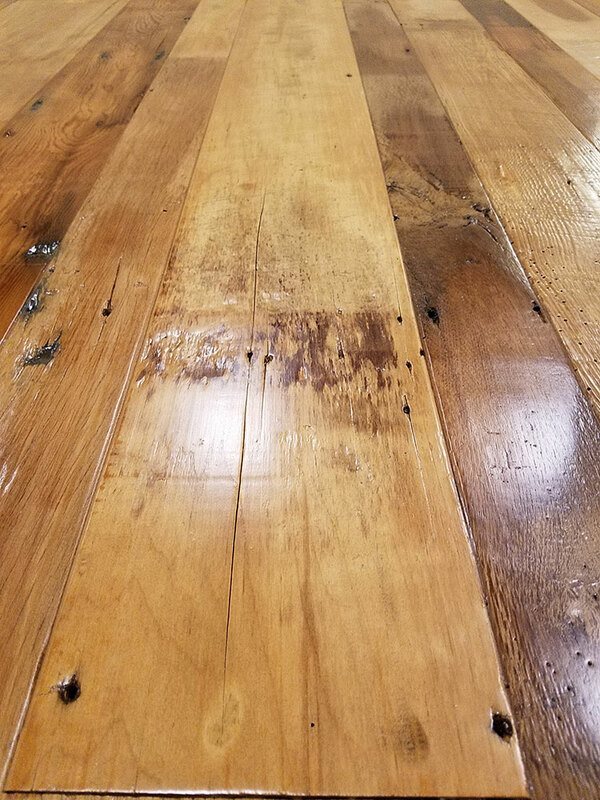 Nothing makes a better conversation piece then telling your neighbor or friend, that your reclaimed floor is hundreds of years old and came from an old barn built in the 1800’s. 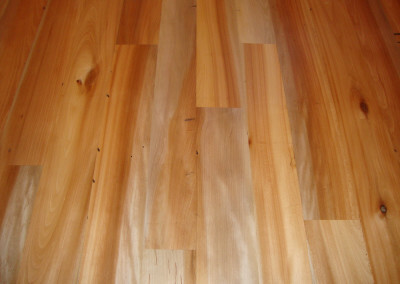 It prevents the cutting down of new and developing trees. Reclaimed wood comes from first growth virgin timber. 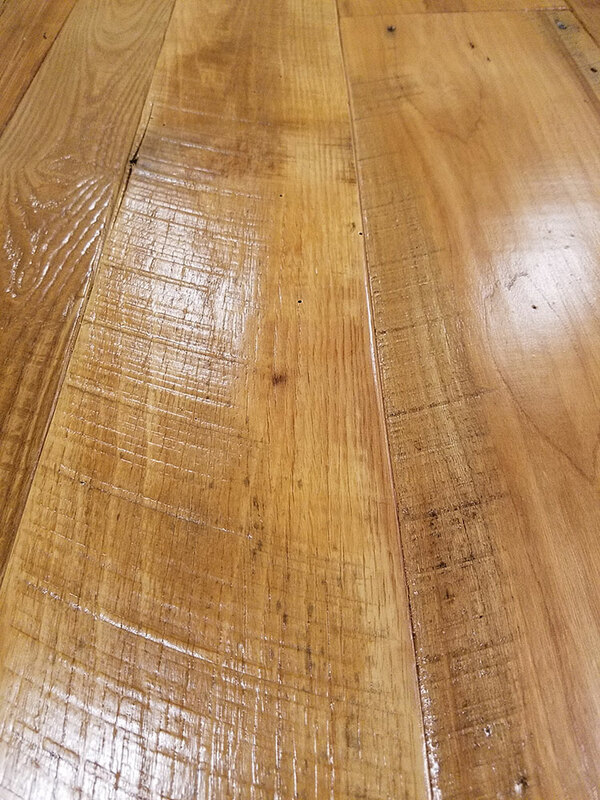 Growth rings are often considerably smaller than new farm raised lumber. Stability is also often greater, as the material has had decades to air dry. 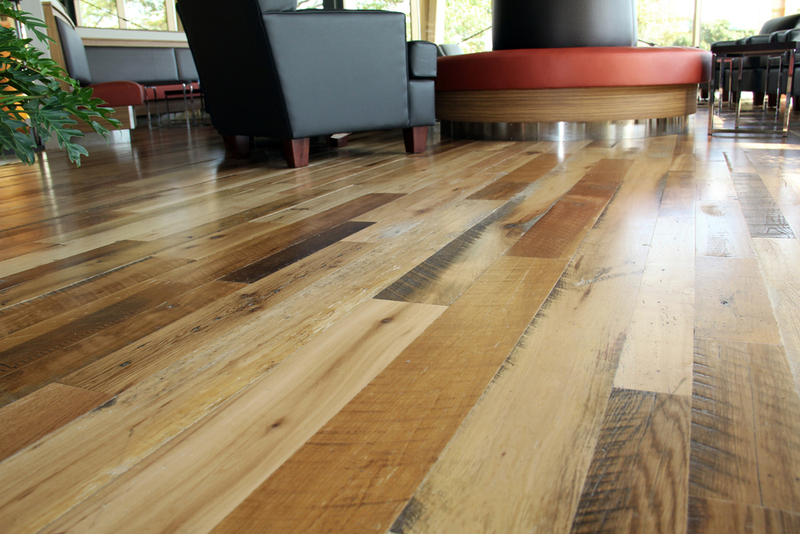 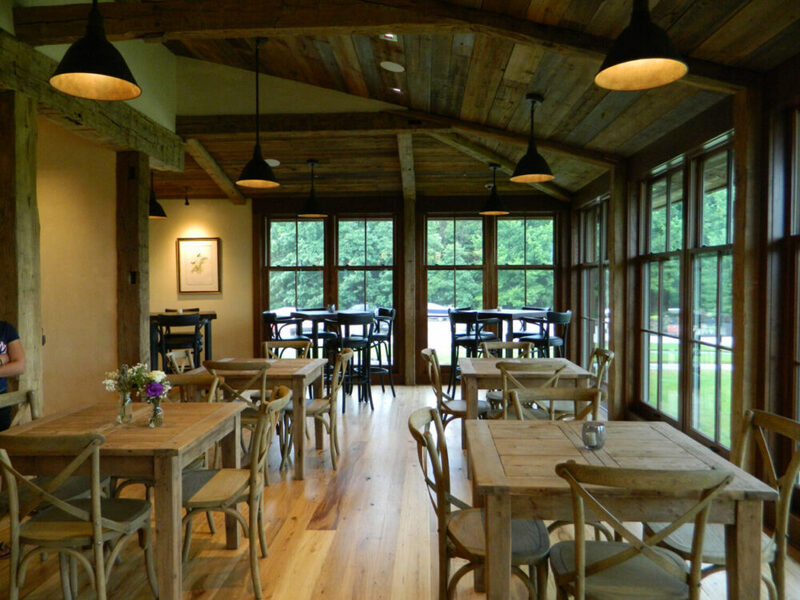 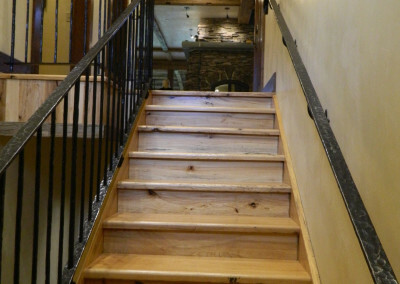 Reclaimed wood always contributes to any type of LEED certification you may be looking to achieve. 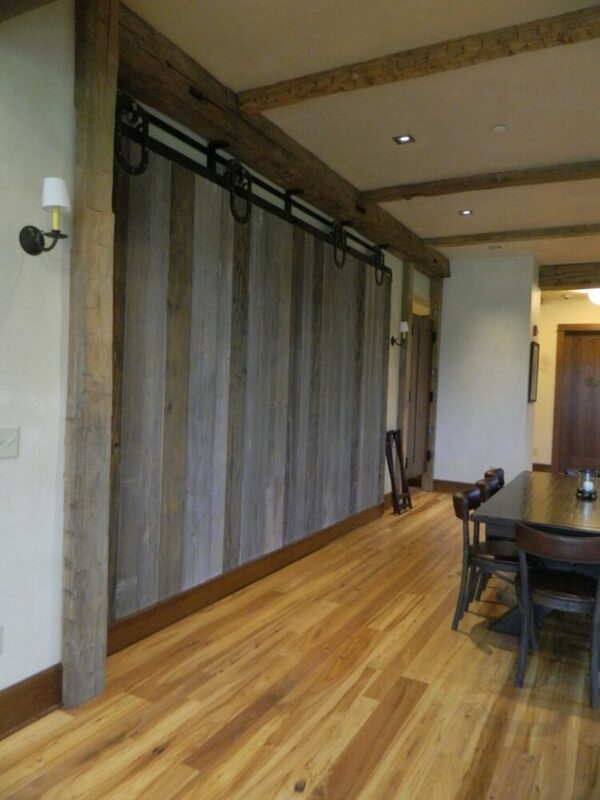 Whether your new home is LEED certified, or you are a contractor working on a LEED certified building, reclaimed wood will always contribute in a positive way because it is re-used.